I had wanted to go to the Scottish capital for years, especially for New Years Hogmany, but just never managed to get round to it until summer of last year. I found some ridiculously cheap train tickets from Manchester and had a nosy online and found a cute B&B not too far out of the city centre (Clan Walker Guest House), so booked a long weekend and made my way to the land of haggis and great accents. The old town and predominately the city centre was a lot smaller than I had imagined so a great deal of it can be covered in one day in my opinion. I started off with a walk round the main streets and exploring the vast amount of shops donning kilts, souvenirs and so many whiskys. 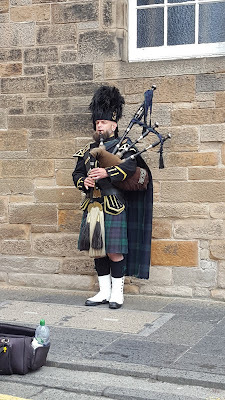 There are a few street artists dotted around, typical statues and performers but also some great bagpipe players (bag-pipists????). 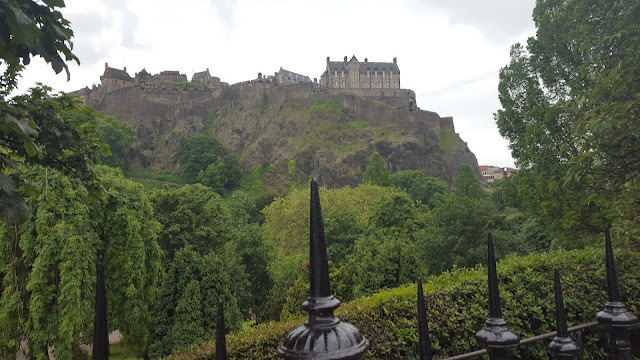 There are a few museums as well and I took a visit to the Edinburgh Writers' Museum which to be honest was a little bit dull for me and involved too much reading (shocking for a literature museum) but if you're into that kind of thing then I recommend going. 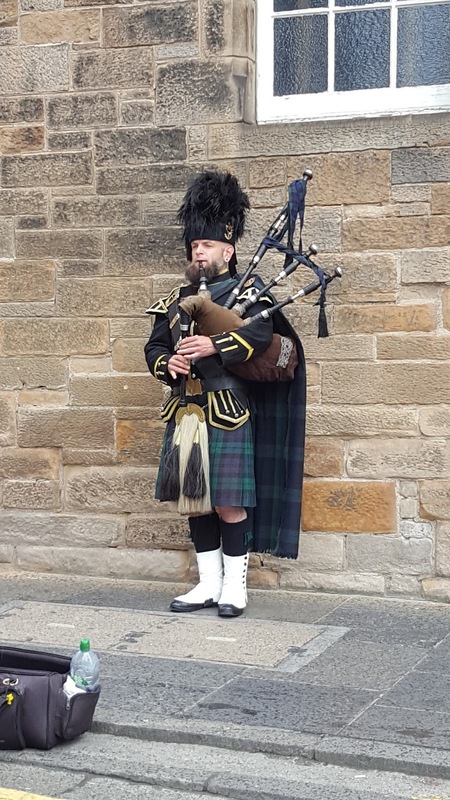 Secondly, Edinburgh Castle will be on many's Edinburgh Bucket List but at £16.50 a ticket I thought against it. However, you can walk so far up and explore a few sights but the images from the river are just as good, if not better. My main highlight from the city centre was The Scotch Whisky Experience. My boyfriend thought it too pricey at around £13 but I really enjoyed it. 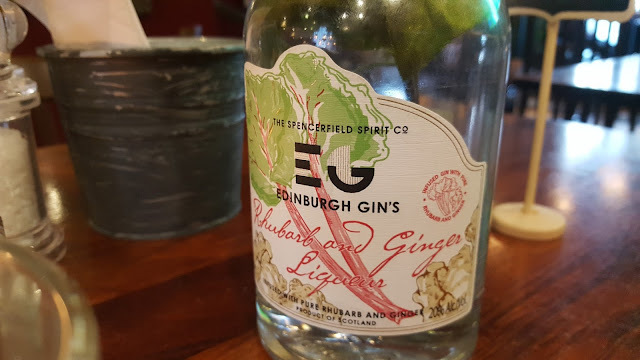 It is very touristy and I mainly went for the tasters but you do learn a lot about the production of whisky and how the different areas of Scotland make different types of whisky, plus you get to try a few samples. 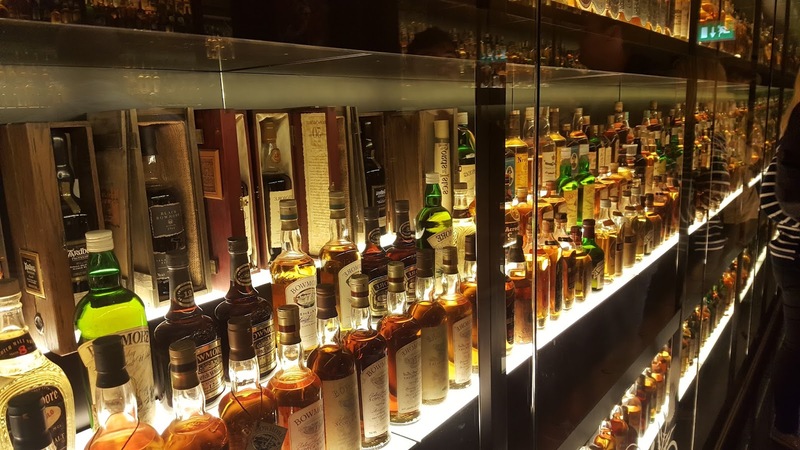 After the tasting, the tour takes you to the largest collection of whiskys in the world and of course a bar, so worth going for a few drinks. During the evening we visited a few bars which I had searched previously. Two which stood out to me and I would recommend are Bow Bar and Panda & Sons. Bow Bar is a small pub near the station but holds a huge variety of beer from all around the world. If you can get a seat I'd recommend staying here for a few types of brew. 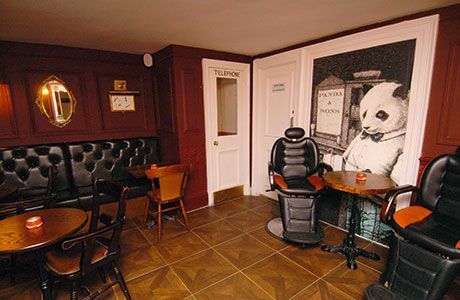 Panda & Sons is about a 10 minute walk from the high street and is set out like a speakeasy. Down some stairs and behind a book case is a huge basement bar where every seat is a barber chair and laid out with various coves and corners to tuck away into. Panda & Sons offers table service and the atmosphere was really good when I got drunk here. 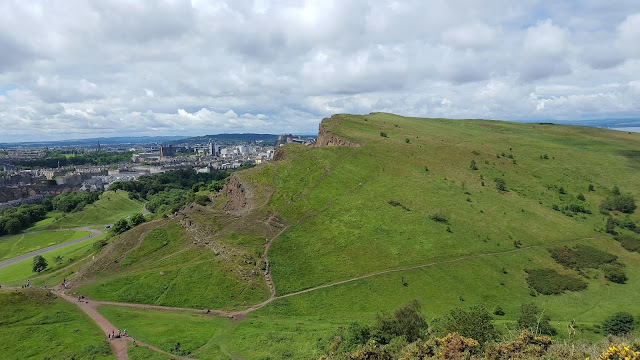 When I first got to Edinburgh I couldn't believe the vast hill that was right next to the city centre. 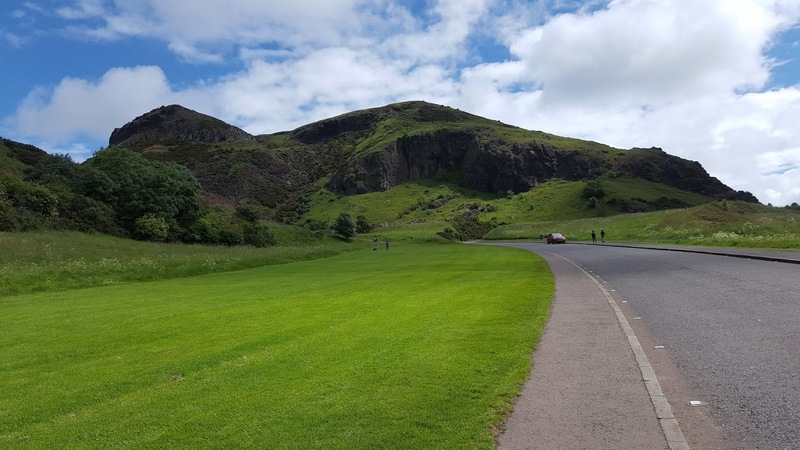 Arthur's Seat they call it. Why? Not a clue but it is worth spending a day (or half a day if you aren't slow like me) walking up the hill and viewing the city. It is a fairly easy walk and about 20 minutes from the city centre to get to. Once at the top, there are various walks round to do but essentially you're just at the top of a hill. Really can't think how else I spent my second day except from drinking in pubs. A few others I tried were the famous World's End which is at the start of the old town. And a more student style pub called Jekyll and Hyde. You really won't be short of finding decent drinking holes in this city and the same can be said for the great hospitality. Edinburgh in this respect can put London to shame as great locals and great service. Overall a great weekend away in Edinburgh and enough whisky to last a few weeks. I'd love to come back for New Years and its on the list of things to do before I'm 30 as I've heard the Hogmany celebrations are some of the best starts to the New Year in the world. But for now, my weekend away in Summer will have to do.